The Château of Chareil-Cintrat, which stands at the bottom of a vine-covered hill, was probably once a mediaeval fortress belonging to the lords of Bourbon. It is then said to have passed to an eponymous local family, as indicated in 14th-century records. In the middle of the 16th century, the property was associated with Claude Morin, War Commissioner, who is said to have ordered major renovation and enhancement work on the château. This work included the addition of Italian-inspired decorative elements such as paintings, as well as the restructuring of the building to include a central staircase with four straight flights of vaulted steps, constituting a single, continuous structure. Highly decorative fireplaces were also added to the rooms of the château. The sculpted decorative work was completed in strict compliance with Greco-Roman architectural conventions. 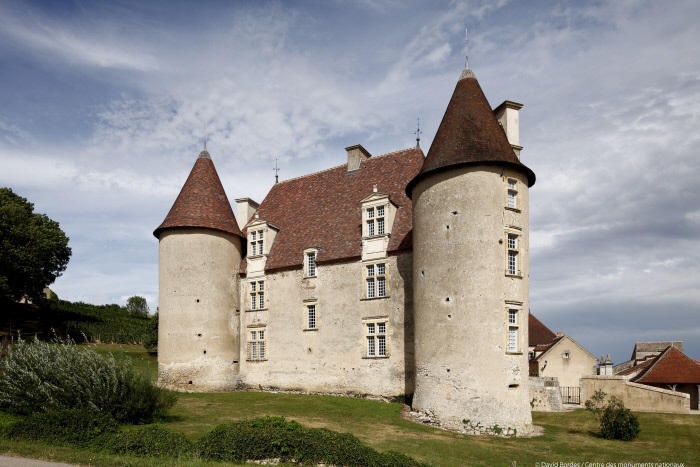 As a result, the château is widely considered a monument of the Second French Renaissance. In 1589, following the end of the Wars of Religion, the Protestants besieged the château, although no damage was done to the building itself. In 1752, the château passed into the hands of the Langlois de la Ramentière family through marriage. The family owned the property until 1815, when it was sold to the Thonnier family. During the First World War, the monument was acquired by steelworks company Schneider, although it was never actually occupied. In 1958, after having been abandoned for several decades, the property was purchased by the State and listed as a Historic Monument. This acquisition signalled the start of a extensive programme of restoration work, with Historic Monument architects first working to restore the structure of the building, before turning their attentions to the paintwork from 1973 onwards.